A survey conducted recently by the website Skyscanner has shown that the neighborhood of Vila Madalena, in São Paulo, is one of the twenty coolest places in the world. 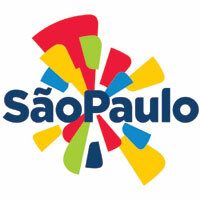 São Paulo appears in the 14th position, ahead of cities such as Istanbul, Lyon, Barcelona, Sydney, Tokyo and Dubai. The news reinforces the characteristic of the city as a tuned and avant-garde destination, accompanying trends and meeting the most varied tastes and styles. With the new title, the metropolis is now recognized as destinations for the Yuccie – term that combines the words Young Urban Creatives and that references to the new generation of the 21st century. Bearing the entrepreneurial spirit, these young people have some characteristics in common: they prefer to set up their own business than to work in executive positions in a multinational; they prefer shared places, such as galleries or coffee shops, to develop creative work than confined places like offices; they invest in technology and in gourmet products, and prefer organic foods in their meals. The yuccie identify with Vila Madalena, in the West region of São Paulo, since it has relaxed environments, galleries, cultural centers, modern coffee shops, establishments that sell organic products, craft shops and the colorful graffiti that make up the identity of the region. For the municipal Secretary of Tourism and President of São Paulo Turismo (SPTuris), Wilson Poit, Vila Madalena, in fact, is a case of the city in the creative economy. But other regions are also emerging. “There are creative poles in the region of the Paulista Avenue, Augusta Street, Tatuapé, Pompeia, Ipiranga, Jardins, Vila Olímpia, and many others. Even the Center and East regions are developing quite a lot in that direction,” he states. Poit, who is also President of São Paulo Negócios – a municipal company whose mission is to promote investments and improve the city business environment of – points out that many policies are being created to encourage business expansion linked to creative economy and technology. “Municipal Projects like the Tech Sampa and the Tax Incentive Program of the East Region, which SPNegócios is committed to make grow, will contribute a lot to São Paulo to be increasingly recognized in these areas,” he says.